SRT Off-Road’s Graffunder for the Win! 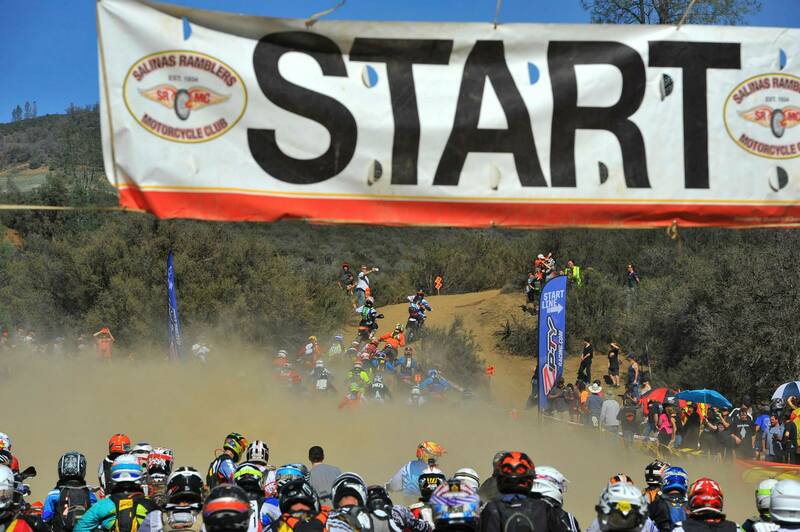 Los Angeles, Ca: With a record turn out for the KENDA/SRT West Hare Scramble series of over 550 riders at Round 2 hosted by the Salinas Ramblers the event was sure to be exciting! The Ramblers staged from their private riding area that is only open a few times a year to non-club members and they went all out on this course! 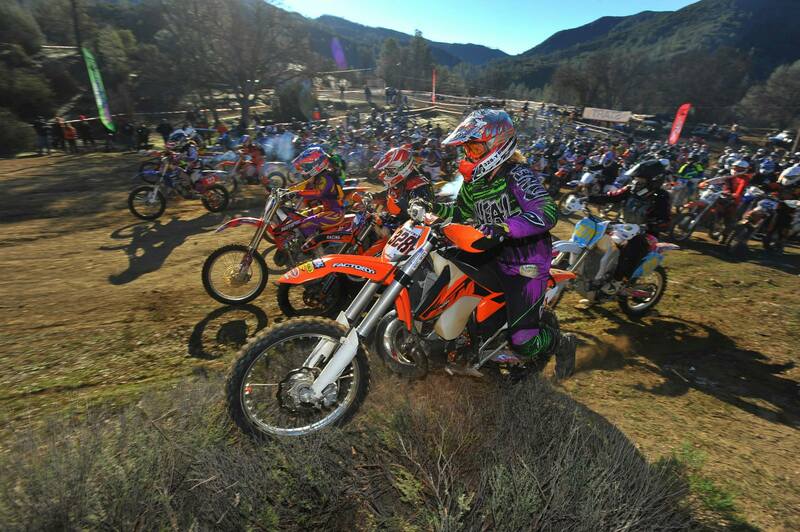 “We’ve been out here since June getting ready for this.” Explains the 2015 Course marshal Jordan Brandt who himself has won 3 ISDE Gold Medals “We wanted it to be a sick hare scramble and it was just that… SICK” Almost every racer at the finish commented on how this was one of the best, most physically challenging events they have ever done so the hard work definitely paid off.The first riders to line up on Saturday, however, would be the smallest aboard their 50cc machines. On an abbreviated course with tons of little creek crossings, twists and turns the kids got a taste of what they could expect as they get older. While Cody Ward would take the early lead, Anthony Aveggio would get by him on the 2nd lap and never look back. He would go on to win by almost a minute to SRT Off-road’s Caleb Mills who is now leading the WHS Pee Wee points chase. Rounding out the top 3 would be Zack Scarpulla who would go back and forth with Bailey Rosbach for the final spot on the podium. Up next would be the Jr Minis and micro Minis on a much longer course that would take them into the hills above the camp ground. Riley Doyle would lead all the way to the final lap when a flat tire that needed to be changed would put him to 2nd and hand the win to Logan McChesney aboard his Yamaha 85. 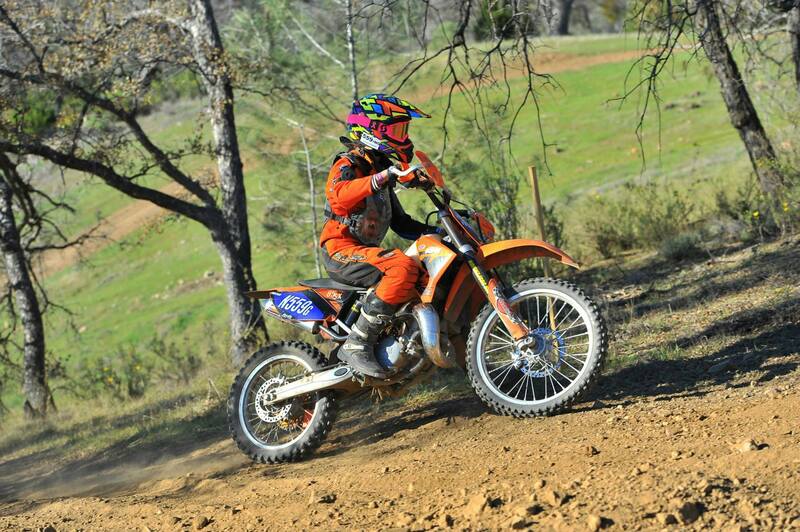 Livermore, Ca’s Jon Wolfson would be right up there in the front but at the end of the battle wound up 3rd Jr. Mini. 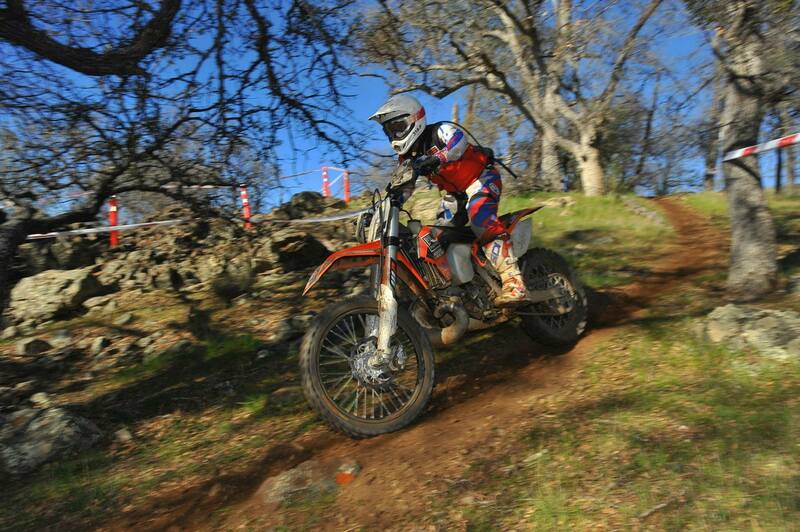 Grants Pass, Or’s Zeke Degenter woud go 2 for 2 about his KTM 65 extending his points lead saying “it was much better to get back into the trees. I’m not good the the fast stuff but I’m fast in the slow stuff.” He would be followed by Tyler Mashbir and Jack Vanerwegen in the micro mini podium chase.The final race of the day would pit the fastest Youth’s against each other and to no surprise it was a field of local racers going at it hard – Super mini racers Jon Medona, Tyler Ducray and Mason Parker would all but run away from the field by the finish. Medona and Ducray were tied together almost the entire event never being further then 10 seconds apart until Ducray made his move on the 3rd lap and pulled a 47 second lead by the checkered flag. Medona would come in visibly warn after the battle and Parker made his way in holding onto the points lead after his Round 1 Victory. 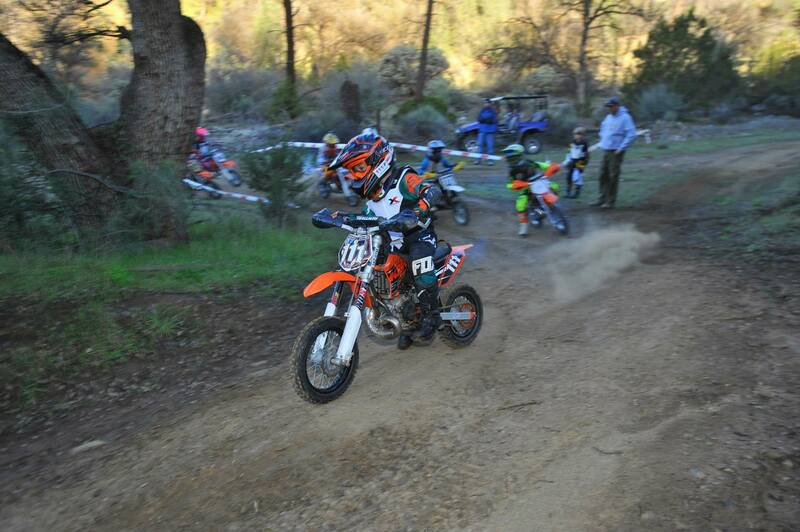 T.O Powersports backed Mason Matthies would run as high as 11th overall, finishing 15th overall and taking the win in the 85cc Mini class. Morgan Thoneson would also struggle with the unfamiliar territory however she would still take a commanding win in the Girls class while Baylee Rhodes would come in 2nd holing onto the season points lead in the Girls class. Sunday started early at 8:30 am with the Women A and B racers taking the first corner of the day. They were all battling for the $225 TBT Suspension Overall Woman Purse. Garrahan Off-Road Training Yamaha racer Sophia Oliveira would take the early lead and stay out front the entire hour and forty-five minute event. 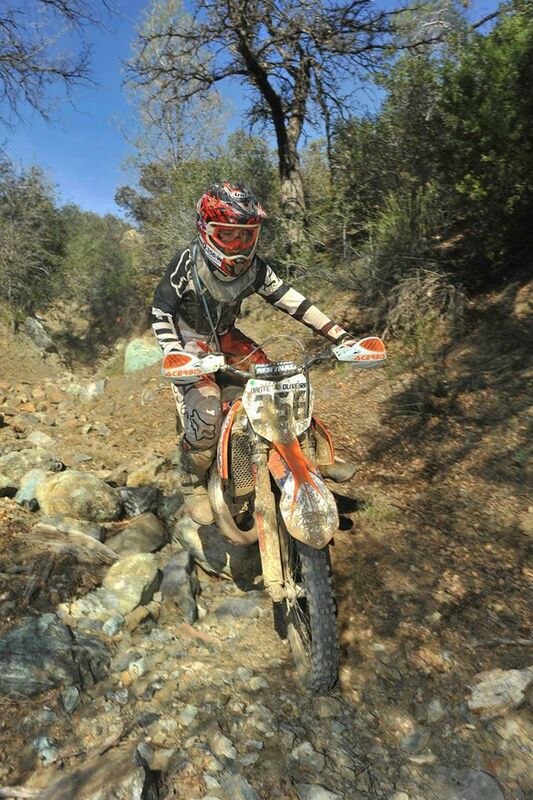 She would be followed by SRT Off-Road backed Sharon Mowell and Women B winner Brianna Vinsonhaler. Once Graffunder was out front he all but checked out. He would put down solid laps and have no issues. “I got out front and just did my own thing. Made no mistakes and just kept going. It was a really good and technical course and really great to get back into the trees.” Behind him the battle was heating up. RPM/KTM/FMF backed Travis Coy would slide his way into 2nd by the second of three laps and the final podium spot would be decided in the final miles of the event. 2014 series runner up Justin Bonita would battle back from a “not-so-great” start in 9th overall and utilize some pit strategy to get past most of his competition aboard his brand new YZ 125. He would lay down one of the fastest laps of the entire event on his final go around and nab that final spot on the box and his piece of the $2800 Pro Purse. In the FMF Pro 250 class Joey Fiasconaro was victorious once again taking the official points lead taking 2 wins in as many rounds. 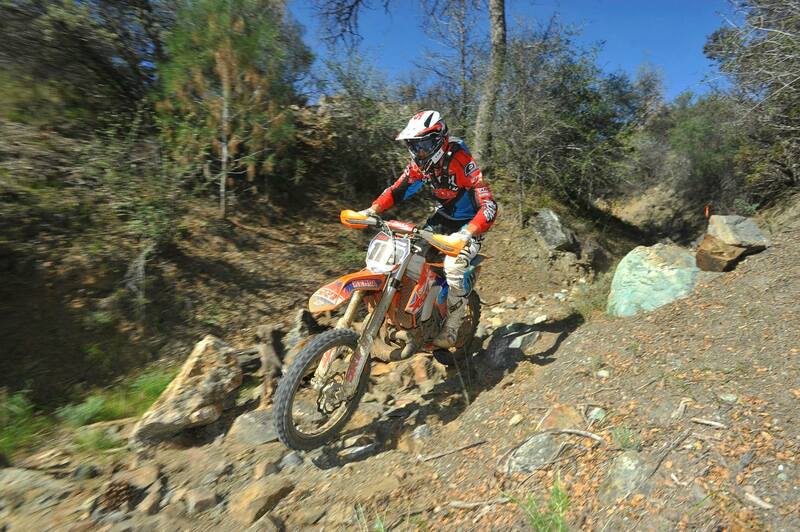 He would also take 11th overall followed by the next Pro 250 in 15th Overall, Michael Aranda and 3rd Pro 250 Travis Epperson. Prescott, Az native Epperson could very well be in the 40+ A class by has elected to chase the young kids around and very successfully! “I actually didn’t really know how well I was doing but my last lap clicked pretty well and I ended up passing a handful of people I wasn’t sure were in my class and here I am!” Another Garrahan Off-Road Racing backd Oliveira would take the overall A victory on the weekend finishing 17th overall with the top 250 A just over a minute behind him.